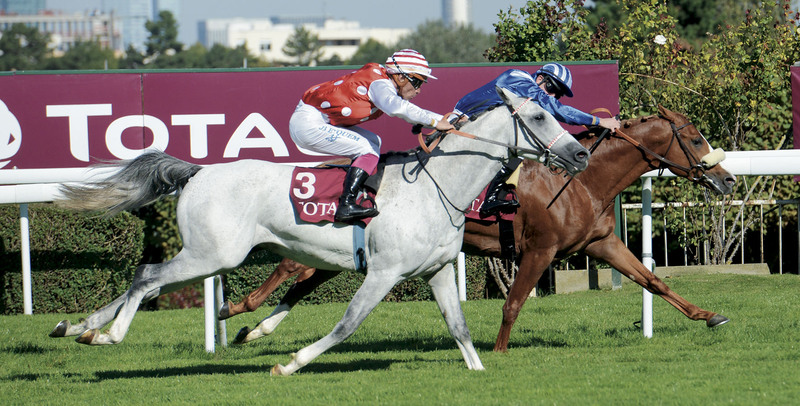 Thanks to four victories in five starts, including the Qatar Arabian World Cup and the Emir’s Sword, Al Mourtajez FR (Dahess x Arwa by Nuits St Georges) finished head of the list of the 2015 international classifications of four-year-old and older Purebred Arabians. He received a rating of 130. 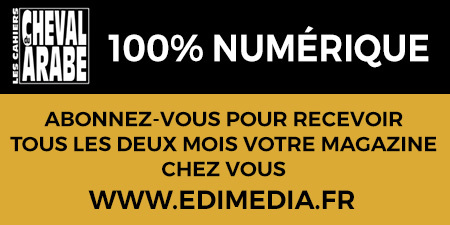 This is the first time since the start of the classifications that a horse has been given such a high rating. Al Mourtajez is owned by Al Shaqab Racing and was bred by Hassan Mousli and Nadia Mousalli. The Hassan Mousli stud was also honoured by Al Mouwaffak FR (Azadi x Morgan de Piboul by Djourman), who received a rating of 126, which put him into second place. 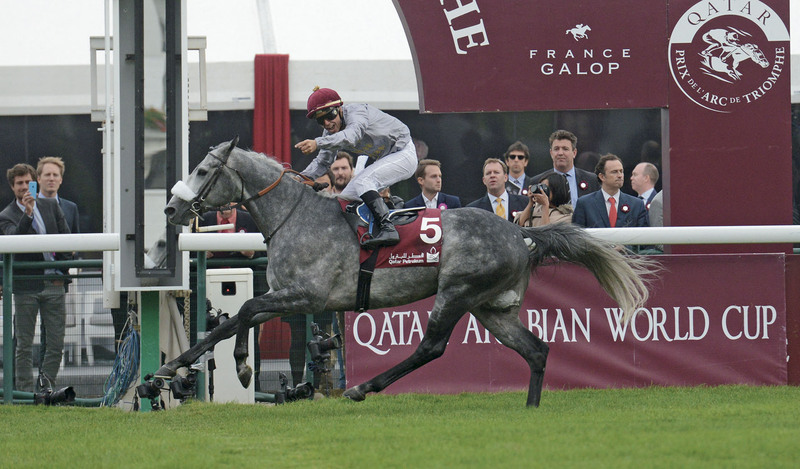 Just like Al Mourtajez, Al Mouwaffak is owned by Al Shaqab Racing and is trained by Thomas Fourcy. In the three-year-old category, Muraaqib FR (Munjiz x Tashreefat by Bengali d’Albret) was the highest rated horse in 2015 with a rating of 118. He had won three races, including the Group 1 PA Qatar Arabian Trophy des poulains at Saint-Cloud, and finished second once in four starts. Muraaqib is owned by Sheikh Hamdan bin Rashid Al Maktoum and is trained by François Rohaut. The second place is for RB Burn USA (Majd Al Arab x Burnie Gee PW by Burning Sand) with a rating of 117, followed by Mabrooka FR (Mahabb x Shamayk by Kesberoy) who obtains a rating of 113.